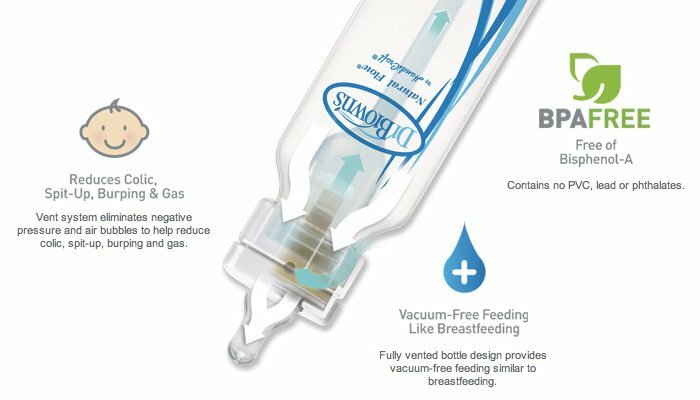 Dr. Brown’s Bottles are the top choice in bottles for PINK Newborn Services! We absolutely love the bottles and the benefits they provide for our precious babies! First, please visit www.bestbottle.com for information about the bottles! Now let’s see what parents have to say about the bottles! ~ My baby has reflux and extra gas that just makes him completely miserable. We got these bottles when he was 3-weeks old and they really do make a difference! I’m a pediatrician, so I was a skeptic when I read that the bottle claimed to reduce gas/colic. But I now I’m convinced! ~ I have tried Avent, Ventaire, Platex Nursers, Evenflo, and Gerber and let me tell you Dr. Brown’s bottles are THE BEST by far. ~These bottles are wonderful! My daughter has reflux and they have made a huge difference in her eating and spitting up! ~ These bottles are awesome. I have reccomended them to so many of my friends. My son had no gas problems and no ear infections either. I will use these again for my next child. Sign up to receive updates and new blogs! PINK® and PINK Newborn Services® are registered trademarks of PINK Newborn Services, Inc.
Any use of PINK® or PINK Newborn Services® without the express written consent of PINK Newborn Services, Inc. is strictly prohibited. Images by Brittany Gidley Photography.